K-W Property Management Corp Presents: Located at C-14 Columbia St. Waterloo Rare 4 bedrooms, 2 bathroom units: Features: •	4 Bedroom •	Two Bathrooms - One bathroom 4 piece, second bathroom 3 piece •	A/C per suite •	Dishwasher per suite •	In-suite washer and dryer - no charge •	5 Appliances •	Each bedroom has cable and telephone jacks •	Bicycle rack •	Secured entry •	Safe building •	1 car parking per unit Convenient location, close to all amenities on bus route. Rent has parking, exterior maintenance, internet and all utilities included! Do not miss this great student opportunity! $550.00 all-inclusive with internet for a 12-month lease. 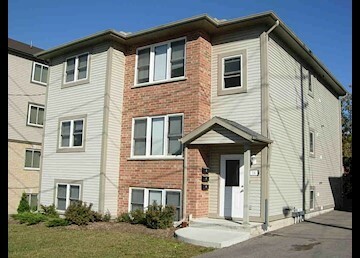 Available Sept 1, 2019 Non-Smoking Unit* K-W Property Management Corp To book appointment check our online calendar for upcoming showings http://kwproperty.com/calendar.asp If you do not find a suitable time please email with your availability and we scheduled you in to view the unit.